Big Words start conversations and open doors to new places. Two of the key areas of my blog are Science, Technology, Engineering and Mathematics (STEM), and Financial Literacy and Money. Cryptocurrencies are a new technology that are impacting global markets in terms of conducting business transactions and serving as investments themselves. The following contributed post is thus entitled; Invest In Crypto The Right Way. If you are keen to make whatever money you can in whatever way you can, you’re probably thinking about cryptocurrency at least some of the time. 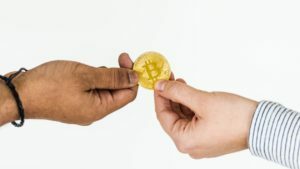 This relatively new kind of currency is all the rage at the moment, and as such it has been developing something of a spike in many of its markets as well. The truth is that if you want to get in crypto trading, now is a good time to start – or at least a better time than next week or next year. But you need to know what you are doing first to make sure that you are actually going to get it right, and that is what we are going to look at today. Here are some of the things you should consider if you are to invest in cryptos in the right way. First of all, you will want to think about getting hold of a wallet which you can store your crypto coin in. a lot of newcomers find this part of the process particularly bewildering, but the truth is that it is not that hard to wrap your head around once you get going with it. There are a few different kinds of wallets, but the most secure ones are those which allow you to use two-factor authentication to gain access to them. By utilising and making the most of this kind of security, you can be sure that your wallet is going to be perfectly safe, which will help if you have any anxiety about getting started with the crypto world. Then it’s just a matter of choosing a wallet that seems good for you personally. It’s a good idea to go for one that gains you interest for BTC, so that you can make even more of your coin. Then you will need to go out and buy the coin that you want to buy. There are now several ways to do this. The best and safest is to go and find a crypto ATM, which are now cropping up in many major cities around the globe. With these machines, you merely purchase crypto with cash or card as you would anything else, and have the coin deposited into your wallet straight away – owing to the usual checks. Or you can consider using an online exchange which set you up with someone who you buy from via bank transfer. In either case, you can be sure that these are two of the safest ways to get hold of your crypto coin. In order to really make the most of your crypto, you need to make sure that you are trading it in the right way. The easiest way to do this is to use an approved app which does the actual trading for you, as this way you can be sure that you are going to be able to get it right. Or you can do the research, and make those decisions yourself – which can be less safe, but is much more satisfying when you get it right. The following guest post comes courtesy of Al Hill, Co-Founder of www.Tradingsim.com. It focuses on a case study for Cryptocurrency Apps – a topic related to my posts which discussed both Bitcoin and Blockchain Technology. 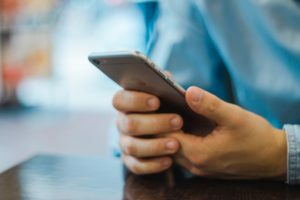 While this post discusses Apps for financial transactions using Cryptocurrencies, it worth noting that the Big Words Blog Site is not involved in giving personal financial advice to readers and is not liable for any financial decisions made by readers. This post contains several infographics. Click on the images to enlarge them. Why do a case study on cryptocurrency apps? Well, it wasn’t up to me. There is just too much demand according to the number of searches from Google. There are a lot of case studies on the web related to bitcoin and cryptocurrencies apps, so we wanted to do things slightly differently by defining a methodology to remove any inherit bias from the equation. The study focused on 4 main factors on a normalized exponential scale of 1 to 100. So, after inputting these data points into our algorithm, what did we come up with? An awesome top 10 list for you to explore! The top graph depicts the overall rating based on our methodology. Now, if you are a true data geek like me, please have a look at the supporting numbers in the table below. As you can see, the methodology did create some separation between the best in breed. 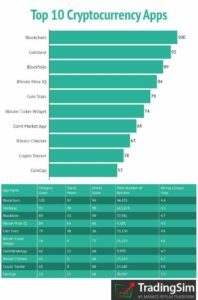 Blockchain is the clear technology leader providing a framework solving many business challenges, one of which is the cryptocurrency market, so the 100 rating was not a shocker. Some of the other apps are news outlets or provide the ability to track the value of currencies, which won’t measure up in terms of value add against apps that allow you to buy cryptos or use them as a form of payment. But what makes Coinbase so popular? 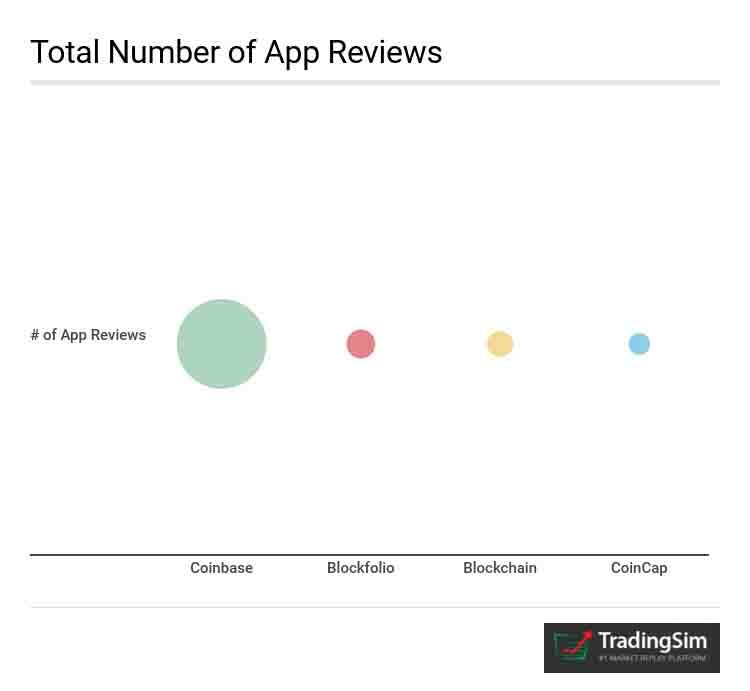 The real story with Coinbase is the large number of reviews for their app. This approach creates evangelists that not only use Coinbase’s products, but also scream about them from the rooftops. You of course will need to determine which app works best for your needs, but how people are sharing and using the application is likely a great measure. 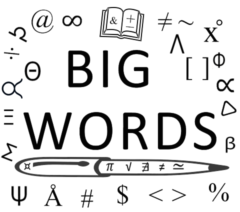 I am pleased to present my first guest post for the Big Words Blog Site. 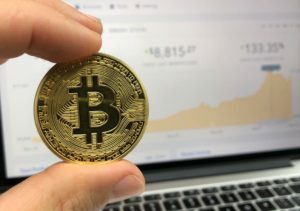 It comes courtesy of Michael Kordvani, the Head of Search Engine Optimization (SEO) of the App development agency Fueled, and it discusses the best Apps for ‘Cryptocurrency’ (Crypto) Investment – a topic related to two of my posts which discussed both Bitcoin and Blockchain Technology. While this post recommends the best Apps for financial transactions using cryptocurrencies, it is worth noting that the Big Words Blog Site is not involved in rendering personal financial advice to readers and is thus not liable for any financial decisions made by readers. There are now loads of different cryptocurrencies to invest in, but how do you keep track of all your investments, and the changes in the market? No doubt you’ll want to use your smartphone to manage your crypto investments. While we’re not always in front of our PC, we’ve usually got our smartphone to hand, and when it comes to cryptocurrencies, things can change fast. Being able to access your investment data quickly, any time you like, wherever you are, is pretty much vital. If you’re new to crypto investment, then Coinbase is a good choice as it’s very easy to use. Setting it up and then making sense of the information displayed is very simple. It’s very popular at the moment with more than 10 million customers using their system. Gemini is another popular choice, and currently benefits from slightly lower fees than Coinbase. This is an intuitive app with lots of reporting capabilities and some great graphs to help you make sense of all the information it presents. Blockfolio is particularly useful for anyone with a diverse portfolio. It’s a powerful tool that can seem complicated at first, but it’s well worth spending the time getting to grips with it if you’re dealing with a wide range of investments across several cryptocurrencies. Blockfolio tracks more than 800 different cryptocurrencies and sends push notifications to your smartphone when levels reach your predetermined threshold. If you tend to trust apps from long established companies, then take a look at Investing.com Cryptocurrency. This company has been giving us investment advice for over 10 years now so it’s no surprise they’ve moved into the cryptocurrency market too. Through their app you can track 1300 different cryptocurrencies in real time, and you have the advantage of seeing historical data too. This app will also allow you to set alerts for when your goal price has been reached. This app from BTC is easy to use and is nicely designed to be simple yet efficient. It’s very secure and has reasonable transfer fees. It offers a good backup system, so you’ll never lose your data, and you can also transfer Bitcoin via QR reader. This app only deals with Bitcoin though, so if you’re investing in other altcoins, then you will probably want to look at our other recommended apps rather than this one. If security is top of your priority list when choosing a crypto investment app, then they don’t come much more secure than Xapo Wallet. The Wall Street Journal described their security as ‘the Fort Knox of cryptocurrency storage’. It gives you three layers of security and it’s also very easy to use with a smooth interface. Wendy H. Anderson on Whose job is it to teach Black History?